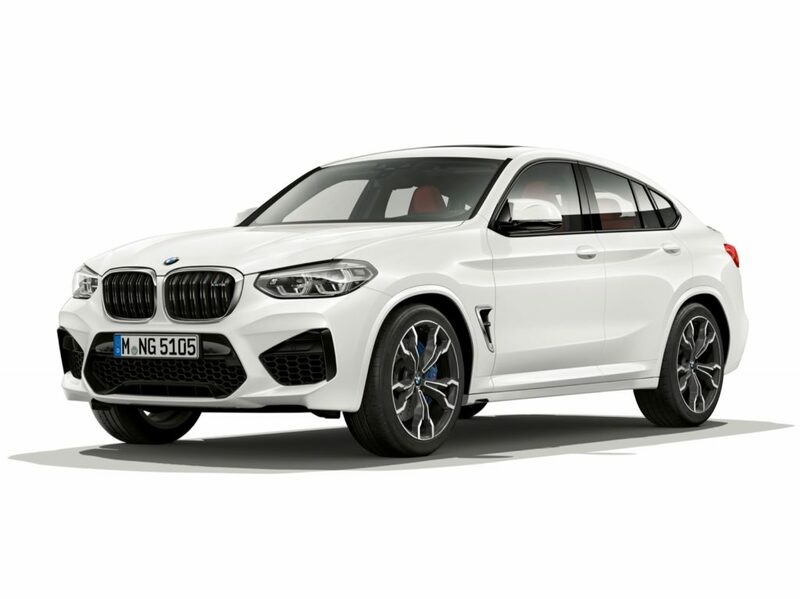 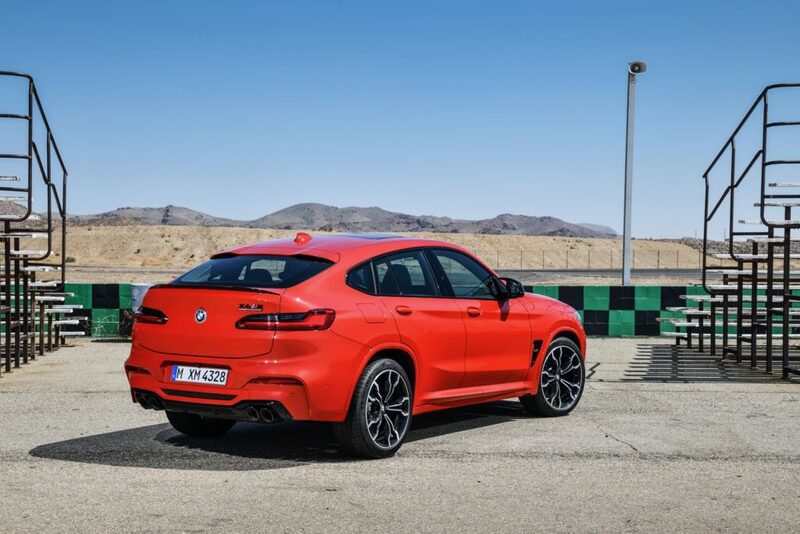 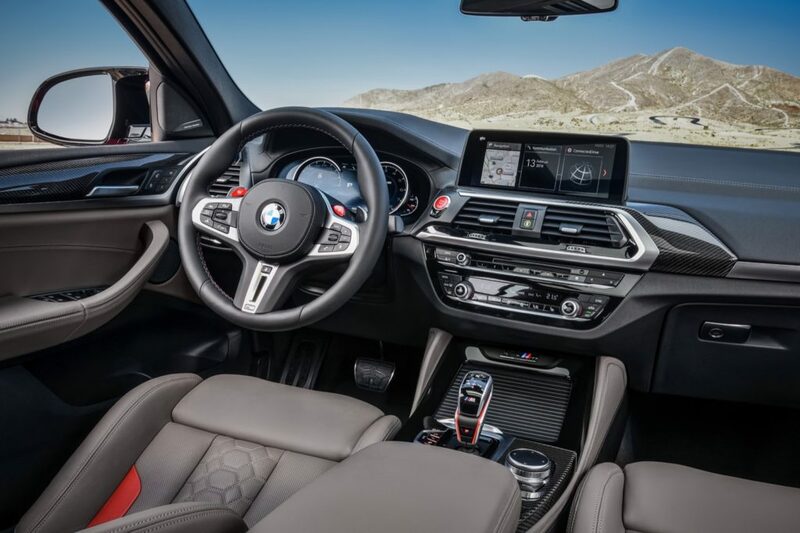 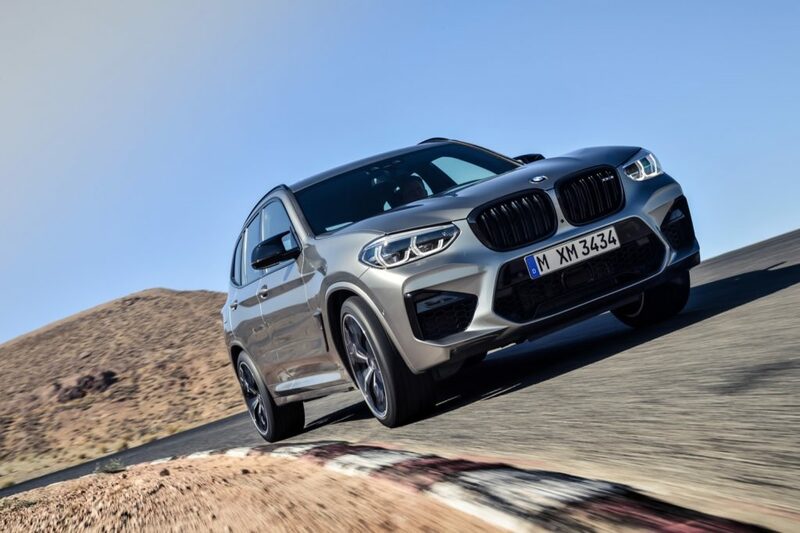 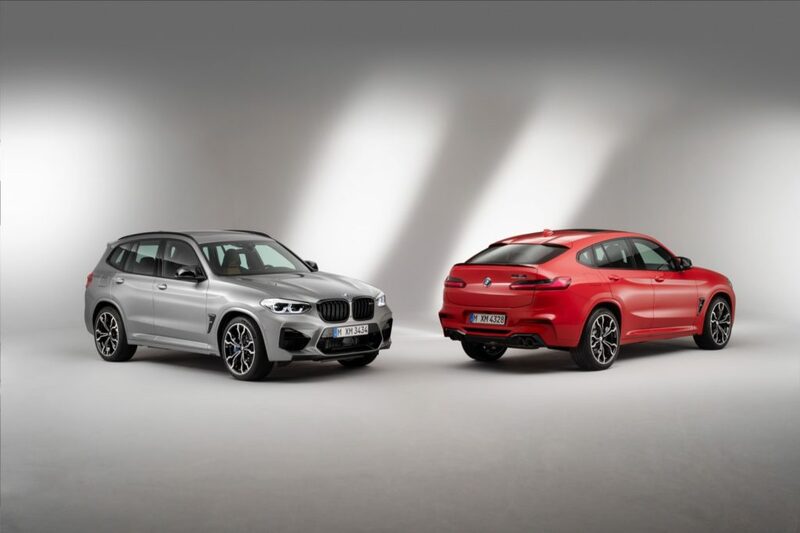 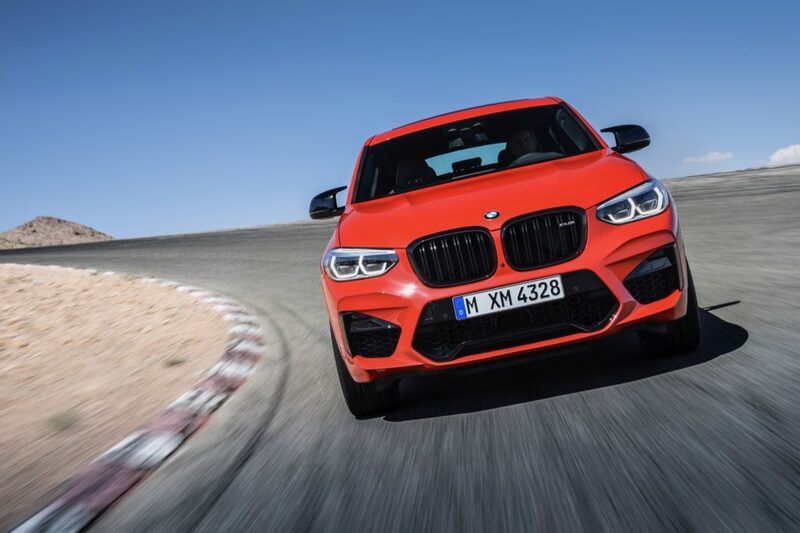 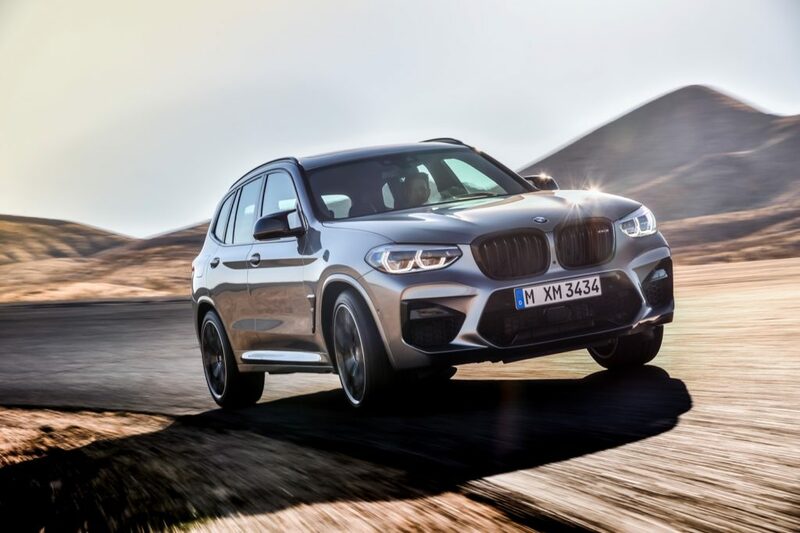 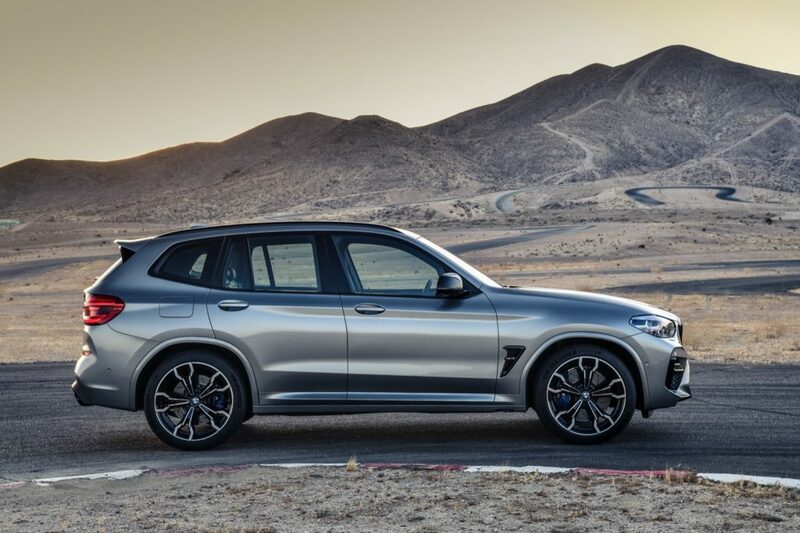 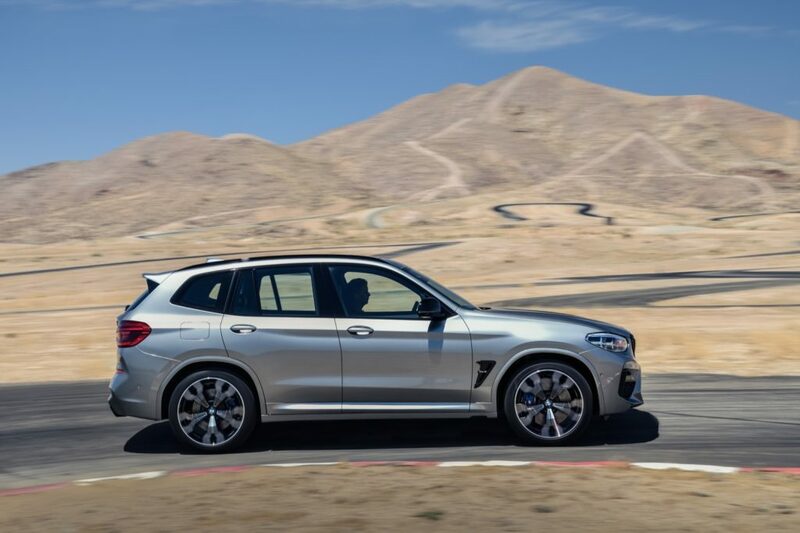 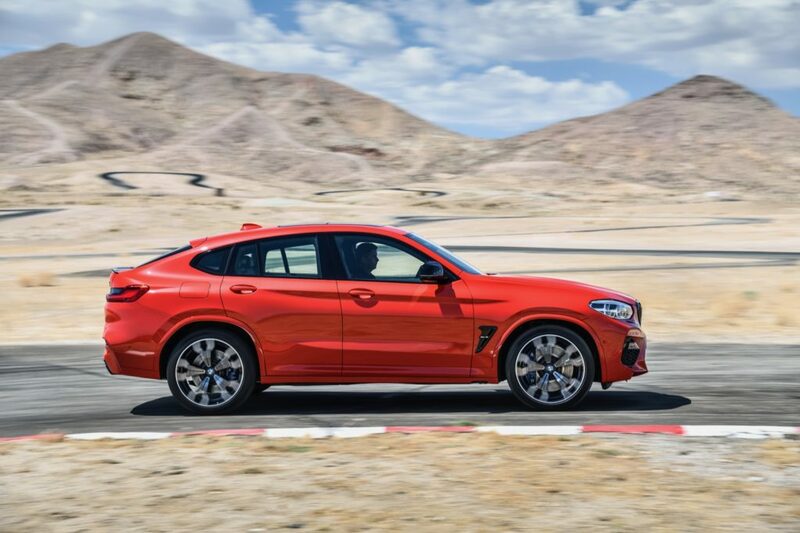 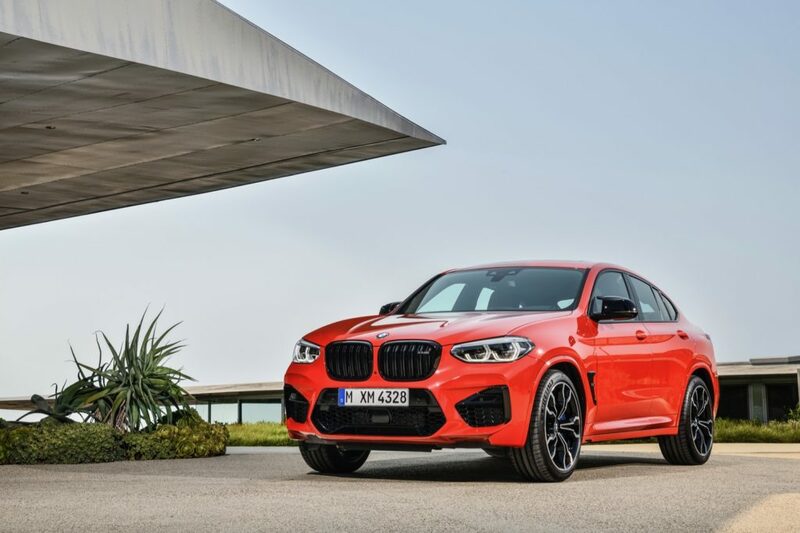 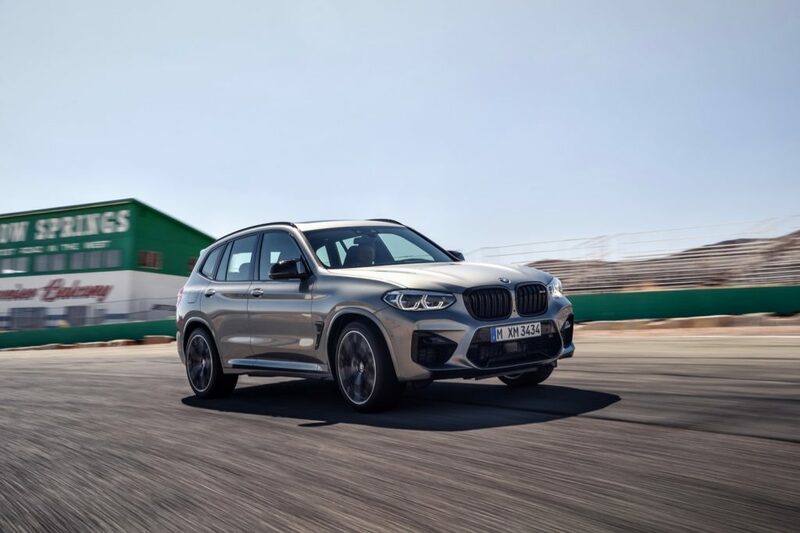 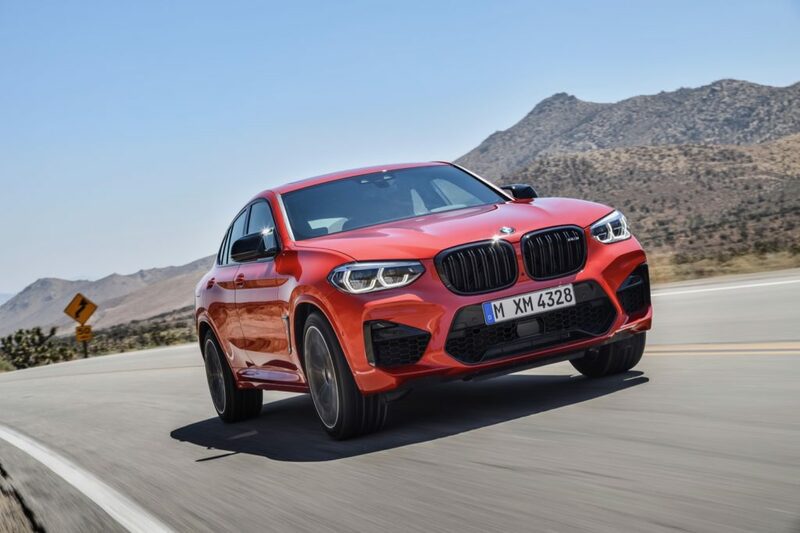 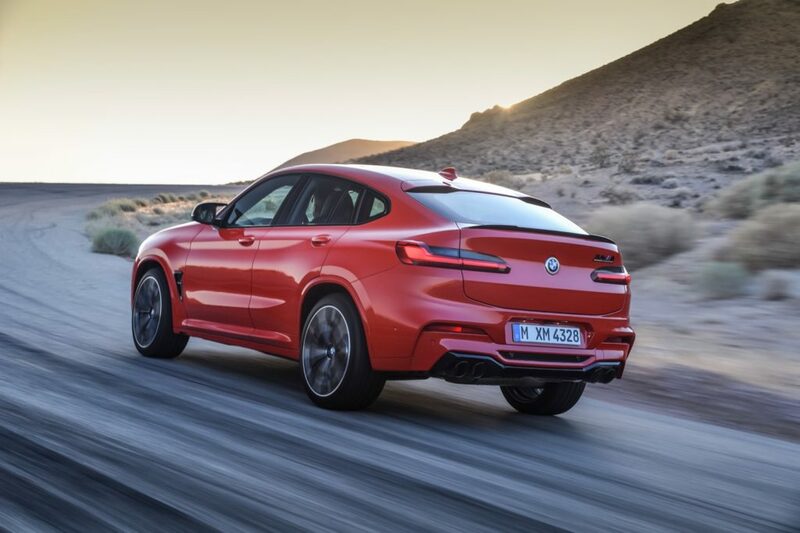 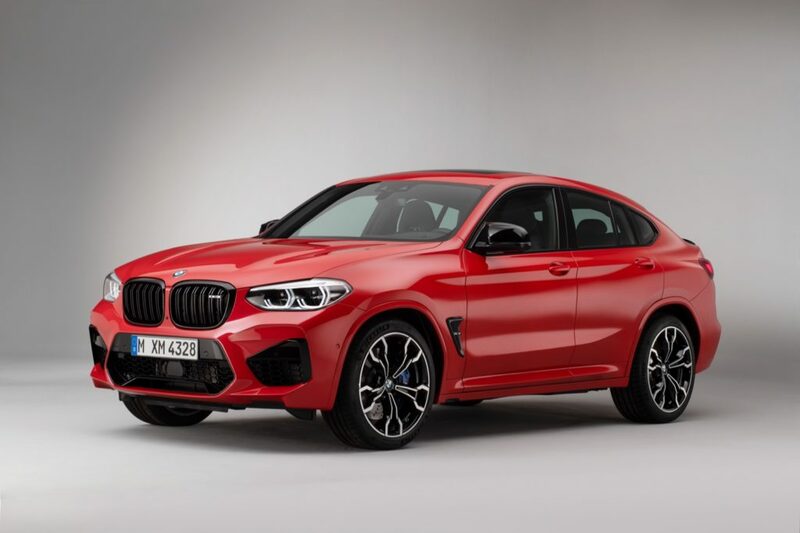 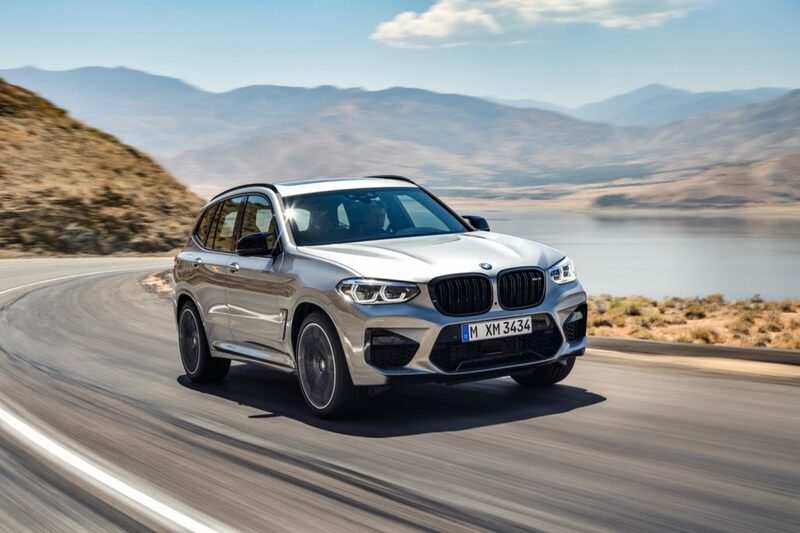 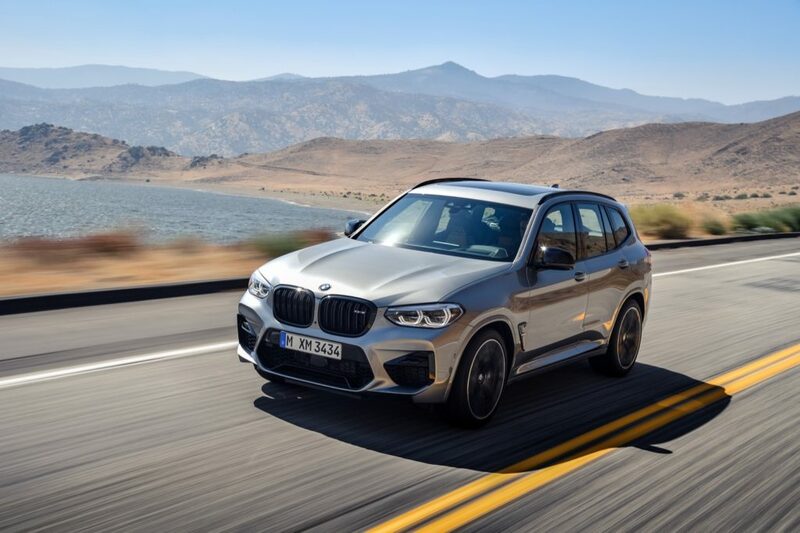 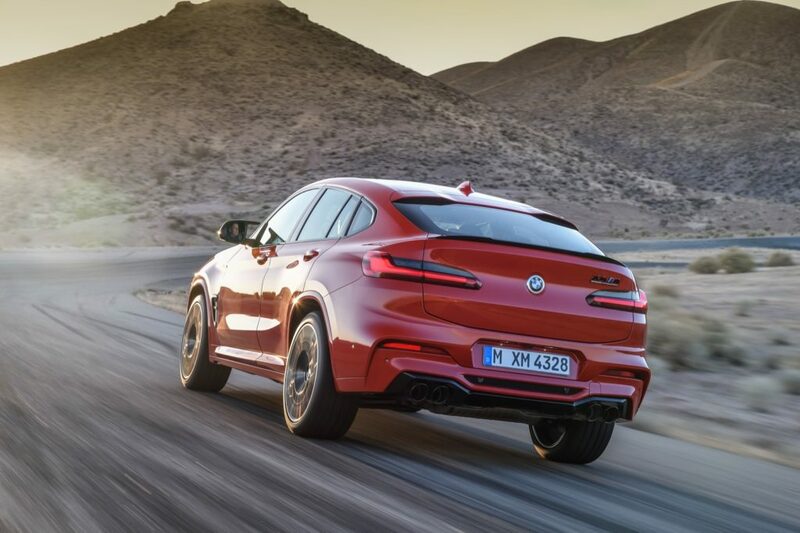 BMW has unveiled the newest additions to its high-performance M lineup, the first ever X3 M and X4 M. The 2020 BMW X3 M and X4 M will be offered with two powertrain options, with the top version being a twin-turbocharged 3.0L six-cylinder engine that generates up to 503 horsepower. 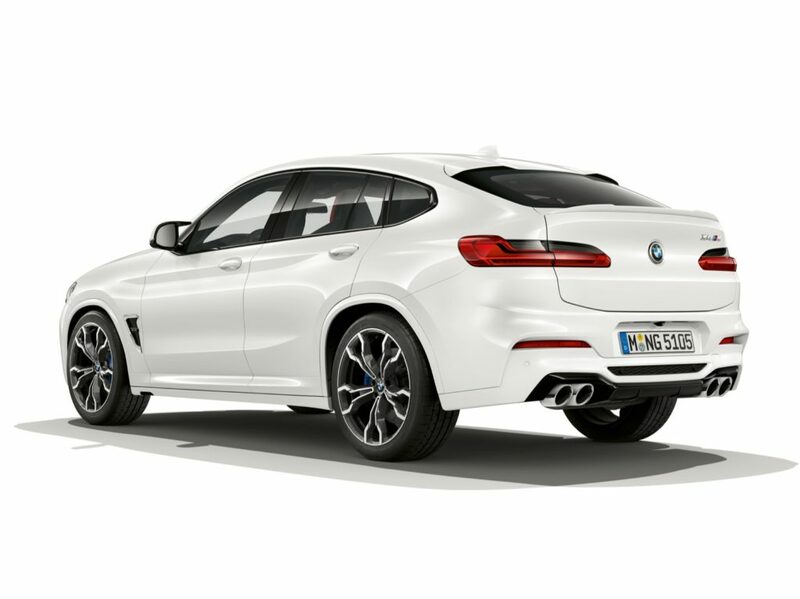 S58 3.0 liter 6-cylinder M TwinPower Turbo engine that generates 473 horsepower and 442 lb-ft. of torque. 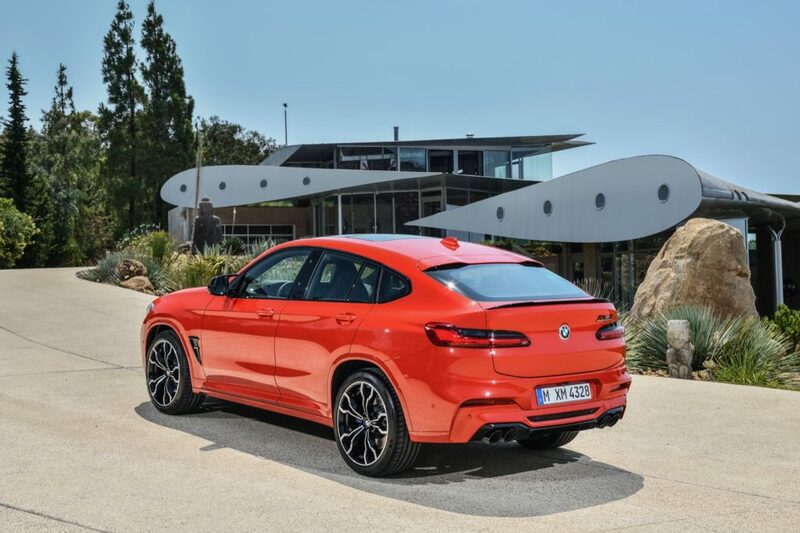 The six-cylinder is mated to an eight-speed automatic transmission and accelerates both the X3 M and X4 M from 0-60 mph in 4.1 seconds. 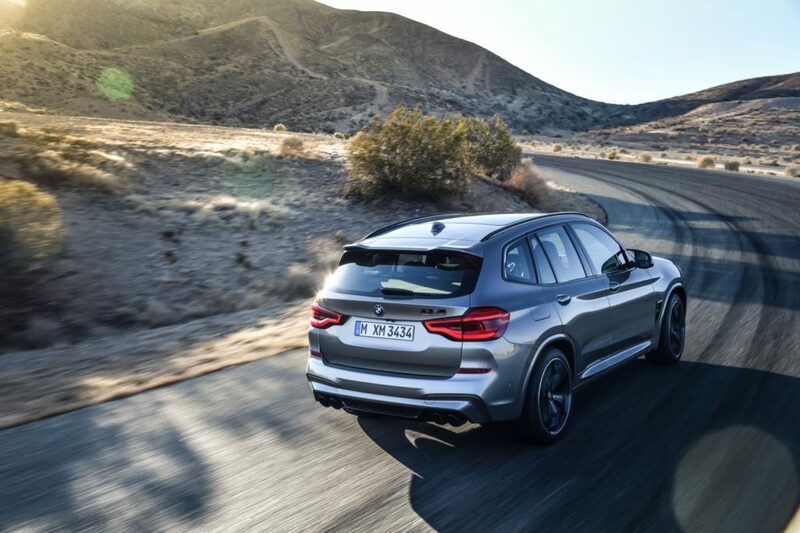 If you want more power the X3 M and X4 M Competition models have 503 horsepower and reach 60 mph in 4.0 seconds. 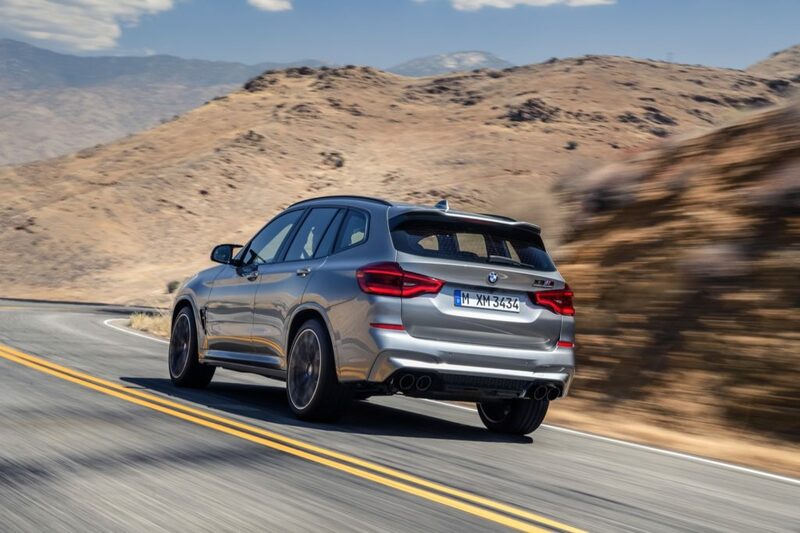 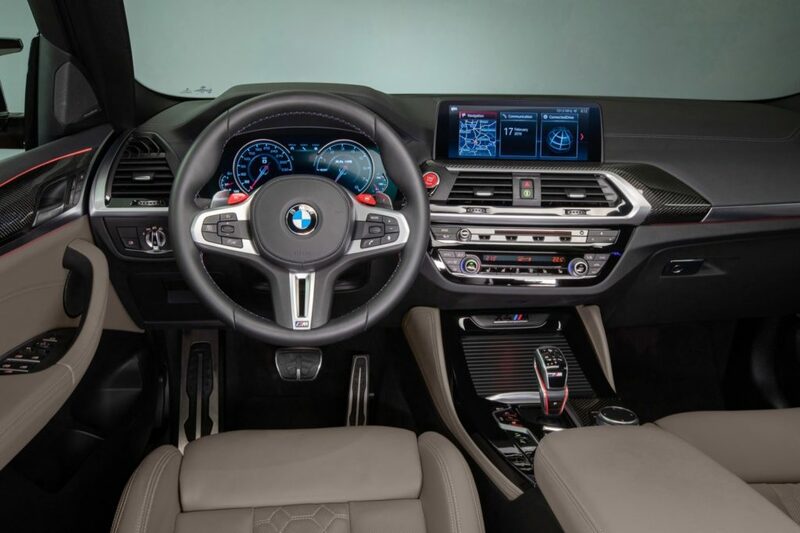 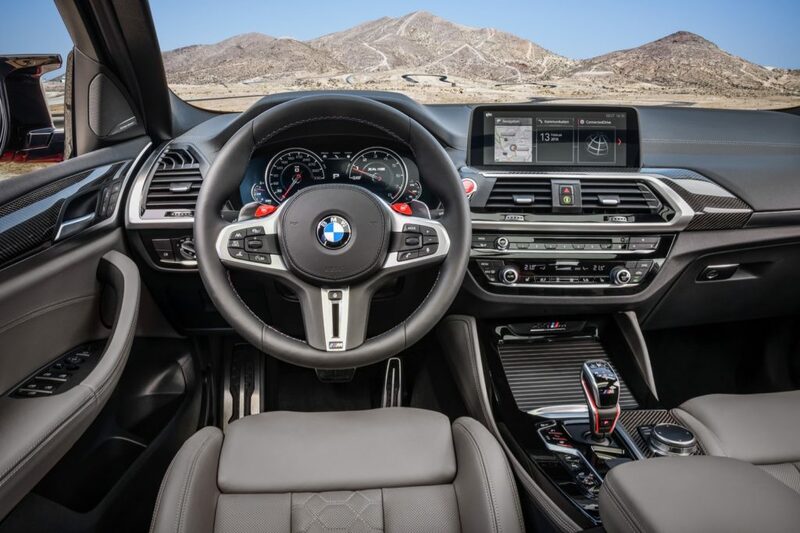 The X3 M and X4 M have an electronically-limited top speed of 155 mph. 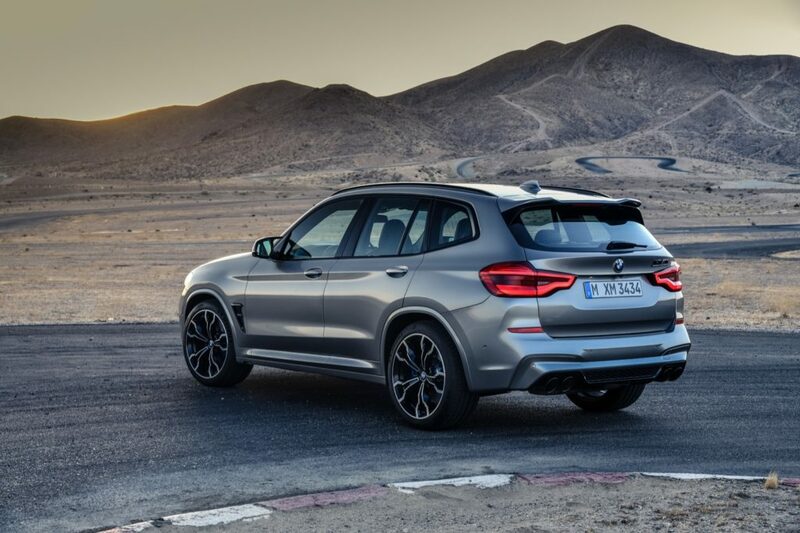 If you add the optional M Driver’s Package the top speed rises to 174 mph for the X3 M and X4 M and up to 177 mph for the Competition models. 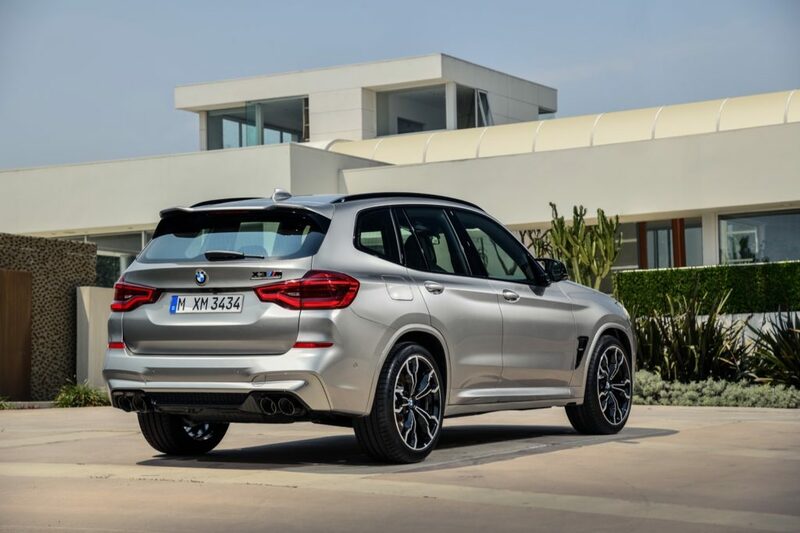 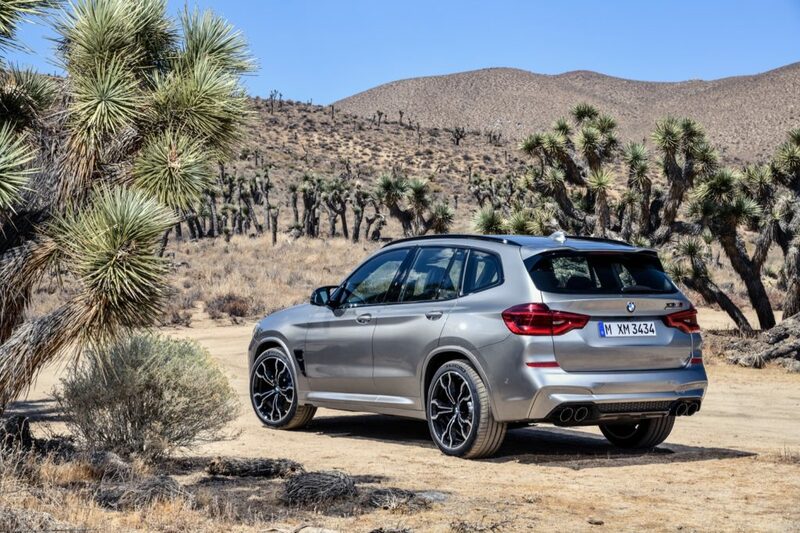 No matter which version you choose, all that power is sent to all four wheels via a new M xDrive intelligent all-wheel-drive system. 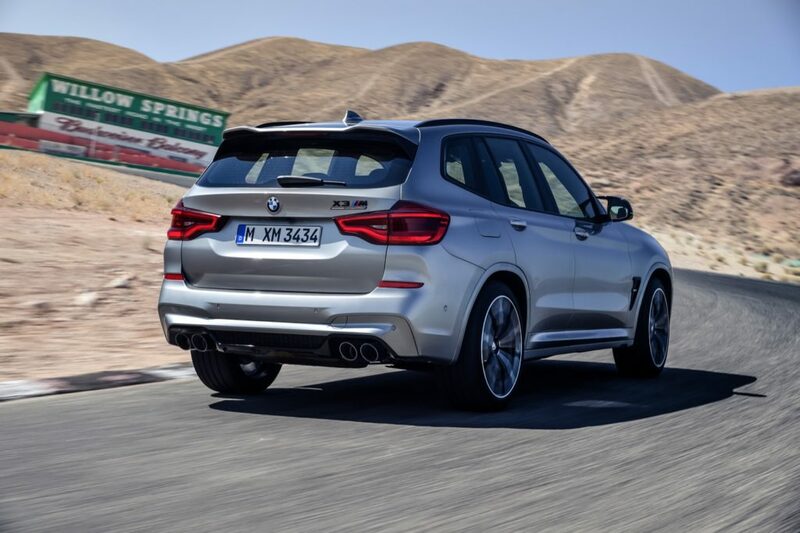 The system generally sends the power mainly to the rear wheels and only sends power to the front when extra traction is needed. 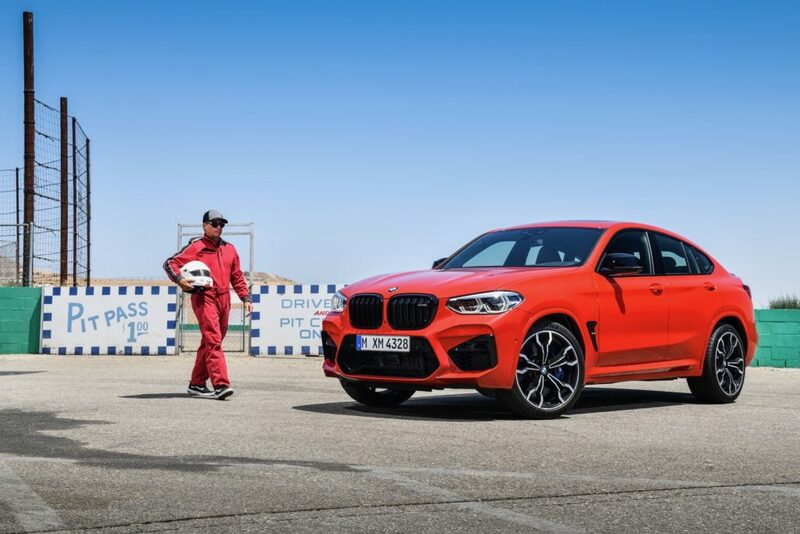 Both models also ride on an Adaptive M Suspension and the stopping power is provided by M compound brakes with brake calipers that are painted blue. 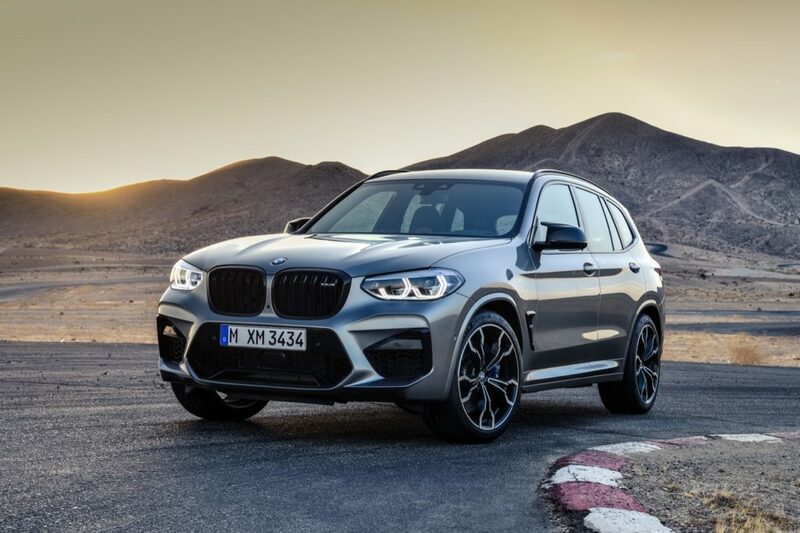 To make sure the X3 M and X4 M stand out, they both feature more aggressive front fascias with larger air intakes and “aerodynamically optimized” front bumpers. 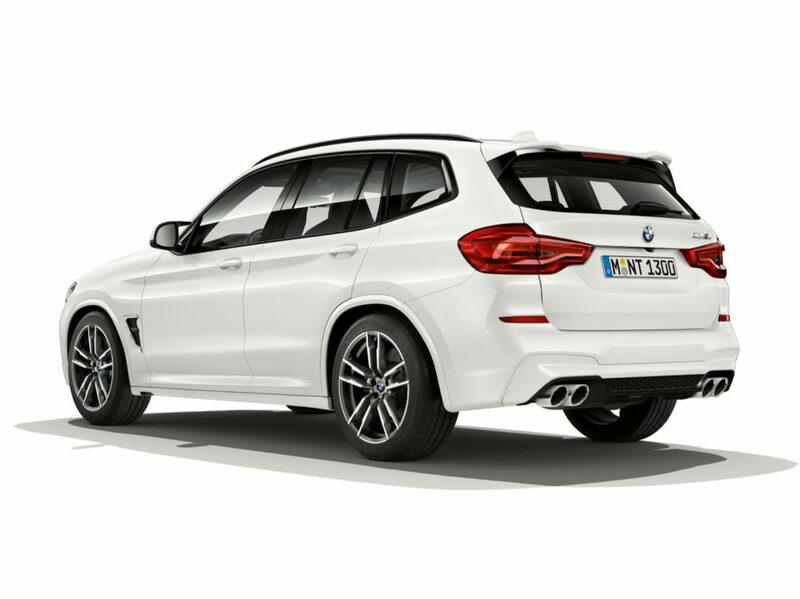 At the rear there’s a new diffuser that’s flanked by two exhaust pipes on either side. 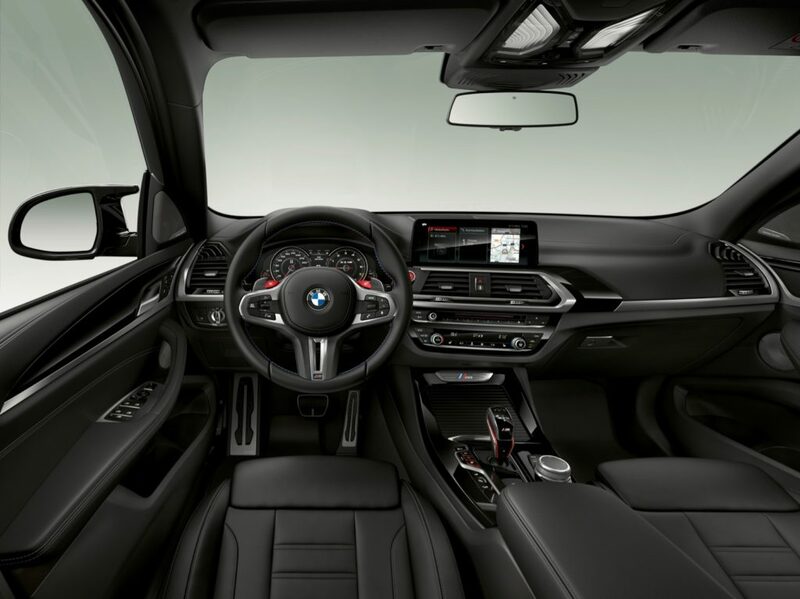 The optional M Carbon exterior package adds carbon fiber-reinforced plastic front air intakes, air blades in the front apron, the rear diffuser and the exterior mirror caps. 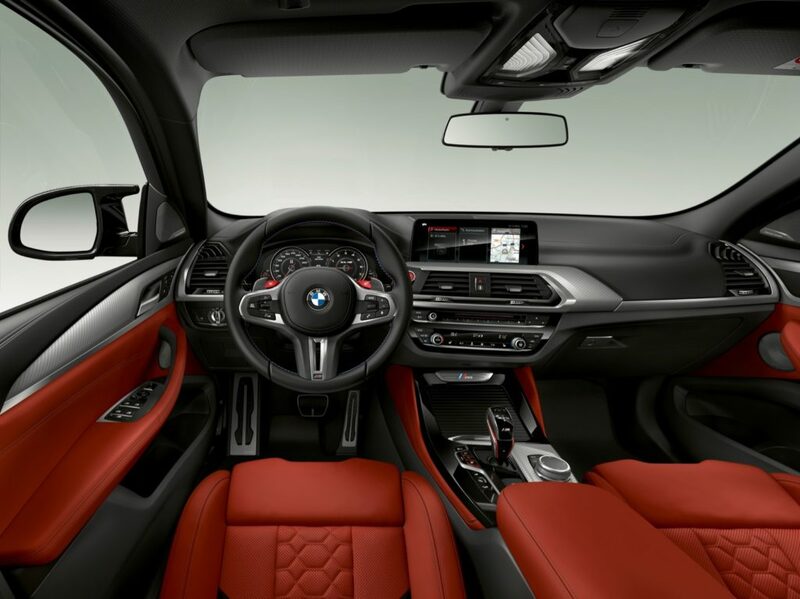 Inside you’ll find sports seats wrapped in Vernasca leather in either Black or Oyster with an embossed M logo at the top of the backrests. 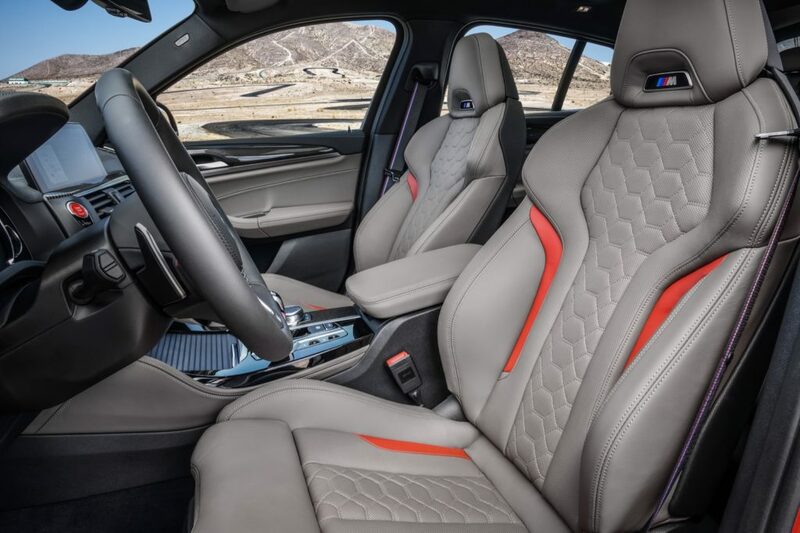 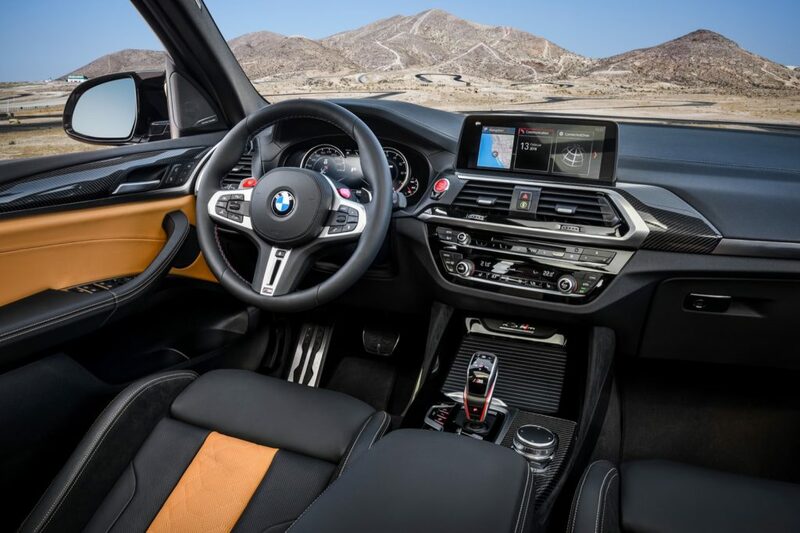 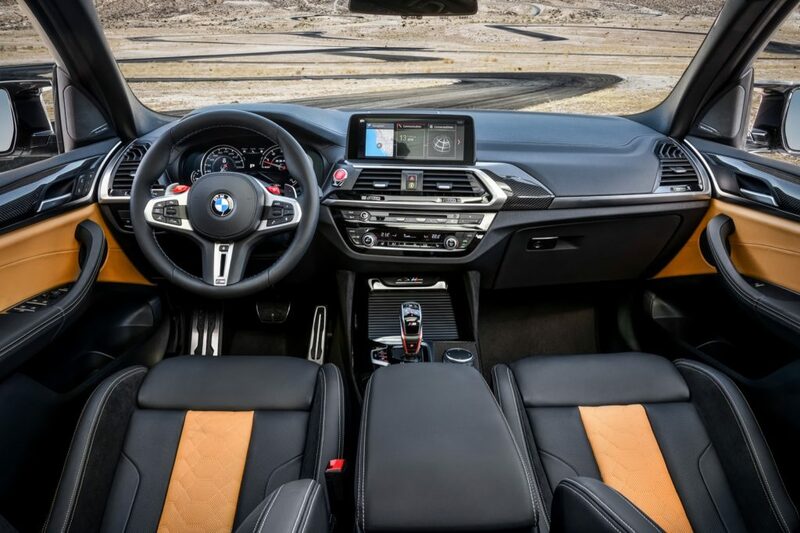 The BMW X3 M Competition and BMW X4 M Competition get M Sport seats wrapped in Merino leather in either Black or bi-color choices in Sakhir Orange/Black or Adelaide Grey. 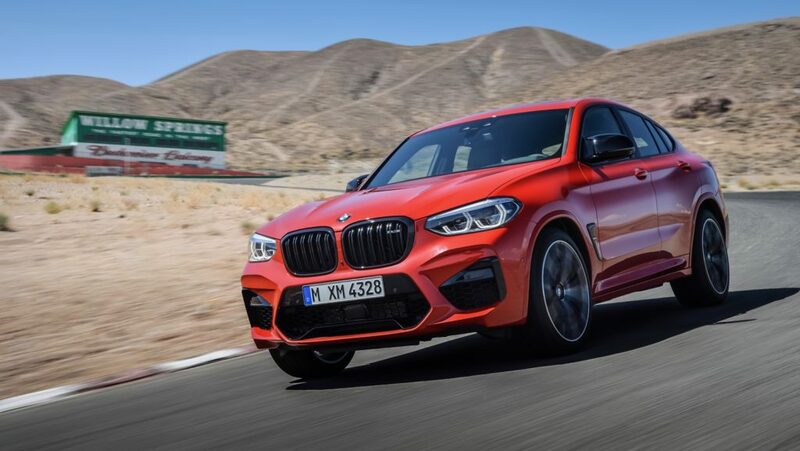 Production of the 2020 BMW X3 M and X4 M will begin in April.